We carry a wide selection of EverGo accessories. Please call us at 1-877-774-9271 if you have any questions. 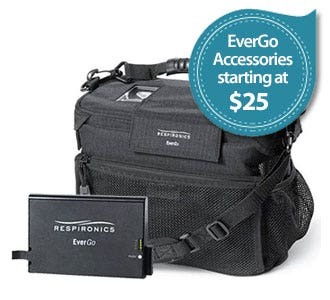 We have all the accessories you need for your Respironics EverGo portable oxygen concentrator. Secure peace of mind with extra batteries, or extend your mobility with carry cases, cart, battery chargers and power cords. 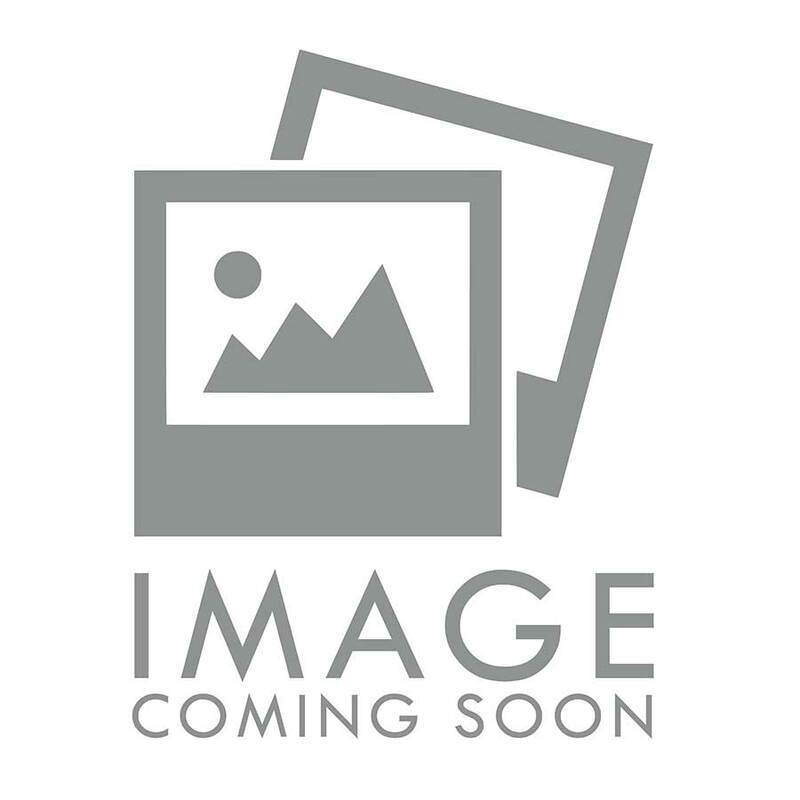 These accessories make it easier to do the things you love and are available at special low online prices, less than the manufacturer’s suggested retail prices! We carry Respironics EverGo accessories that include the Respironics EverGo Replacement Battery, Respironics External Battery Charger, EverGo Mobile Cart and more. We offer the lowest online prices on EverGo accessories and always have inventory that ships same day. Using the Respironics EverGo and it's accessories will help you live a more active and full life, because of its light weight, range of pulse dose settings, and versatility. We offer all the essential accessories you'll need to use your EverGo, whether you're just running errands or traveling across the world. Don't let yourself run short on the things you'll need. We make stocking up easy and inexpensive. The EverGo is the pulse dose only model of the Respironics portable units. It's settings run from 1 to 6, in 0.5 increments, which is perfect for those who need a more specific dose. It will weight no more than 10 lbs at one time, with both batteries in use. This is a powerful little portable oxygen concentrator, and rightfully one of our most popular models. You'll need extra Ever Go batteries to make sure you don't have to interrupt your dosing while you are out and unable to stop and plug into a power source. If you plan on taking a trip where you will find yourself in a bus, train or plane for longer than one battery's duration, you'll definitely need at least one extra battery. Most airlines will require that you bring around 200% of the battery duration you would normally need, just in the case of an emergency. A portable battery will work as good as new until around 300 recharges, then it will only charge to 80%. This gives you time to order new ones, with the battery still able to hold a charge, just not for as long. The batteries will automatically begin to recharge, while you run and use the EverGo on DC power via the vehicle's cigarette lighter outlet. Just make sure the vehicle's motor is running before you plug it in, or you risk draining the car's battery. You should get a DC adapter for each of your vehicles. This will prevent your DC power cord from getting worn out from being plugged and unplugged frequently. Your DC adapters will last much longer. It will also prevent you from forgetting to grab the one out of the other vehicle. The EverGo's mobile cart is very lightweight and easy to maneuver, even in small spaces. The telescoping handle makes it easy to push it down and out of the way while you're sitting still. Getting a carry case or weather protective case for your EverGo is essential. You can't always prevent from being outside when it starts to sprinkle. The carry case will keep moisture from getting into the machine, while you can seek shelter. Vacationing or Visiting Friends? Take your 2nd set of batteries along and know your 1st is always safe at home. Buying extras for this purpose will ensure that you always have your batteries. This will also help them last much longer, and you won't need to buy new ones as soon. Keep some extra, already fully-charged batteries in the car for convenience. Keep them in a cool and dry compartment, packaged separately. You'll always have your batteries when you need them. You'll need to completely change the gross particle filter for your EverGo every 3 to 6 months, even if you clean it regularly, as it will start to wear out over time.